Want to start your CDPAP enrollment straight away? Call us at 888-250-6127 and a specialist will guide you. What is the Consumer Directed Personal Assistance Program (CDPAP)? The Consumer Directed Personal Assistance Program is a Medicaid program that allows consumers to recruit, hire, and direct their own personal assistant. I'm interested in enrolling. Can you help me? We can guide you through the entire process of enrolling in CDPAP. Call us today to speak with a CDPAP specialist who will answer your questions and help you start the enrollment process – 718-831-2900. You can also contact us by filling out the form at the bottom of this page. A CDPAP specialist will contact you promptly. Please Note: Edison Home Health Care is a Fiscal Intermediary for CDPAP. We do not administer the program. We can help you navigate, but application and enrollment for CDPAP must go through your Local Department of Social Services or Medicaid plan. Can a consumer hire a family member to be their personal assistant? Most family members, including children, can be hired to serve as a personal assistant. A spouse cannot serve as a personal assistant. Additionally, parents of children that are under 21 cannot be the personal assistant of those consumers. Do personal assistants need any special license or certificate? Personal assistants must be legally allowed to work. They do not need a special license or certification to provide care under the Consumer Directed Personal Assistance Program. What services can a personal assistant provide? Personal assistants are able to provide both custodial and skilled services.  This includes many skilled services that a home health aide may not provide, such as wound care, giving insulin shots, and suctioning tracheostomies. What role does Edison Home Health Care play? Isn't the consumer supposed to be directing their care independently of a home care agency? Edison Home Health Care is a NY State certified Fiscal Intermediary for CDPAP. Meaning, we are certified to process the payroll for CDPAP personal assistants. Please fill out the form below and a CDPAP specialist will contact you promptly. I have Medicaid. I need help applying for Medicaid. Edison helped my mom enroll in CDPAP quickly and smoothly. Your staff was super helpful and answered all my initial questions. Now I’m getting paid to care for mom and could not be happier. I recommend you guys to anyone looking into CDPAP. Thank you! I had tried to enroll mom in CDPAP a number of times without success. When I called Edison, it was different from the start. Barry was extremely knowledgeable and helpful. He got mom enrolled in CDPAP in less than two weeks. Thank you Edison! Thank you Barry!